BANISH & PREVENT BUMPS - Toss out the expensive soaps, creams, and razor bumps treatments that only irritate your skin! Dylonic has the key to getting rid of ingrown hairs and razor bumps. Treat and prevent unsightly red spots anywhere with Dylonic\'s exfoliating brush! SMOOTH & SOFTEN ANY SKIN TYPE - For sensitive to dry skin, coarse to curly hair - stubborn razor bumps don\'t discriminate! Dylonic\'s unique design features super fine, soft bristles for gentle razor bumps and ingrown hair treatment on any kind of skin. Use it on even the most sensitive skin for soft, sensuous results! EXFOLIATE WET OR DRY - Relieving and preventing embarrassing bumps shouldn\'t be a burden! Made for use as either a wet or dry brush, the Dylonic body exfoliator is the essential addition to your hair removal routine. Watch it become your go-to tool for your legs, armpits, intimate areas, and more! TREAT YOUR SKIN WITH EXFOLIATING SET - Skincare is our specialty, so we\'ve sweetened the deal with 2 Complimentary Silicone Face Pads! 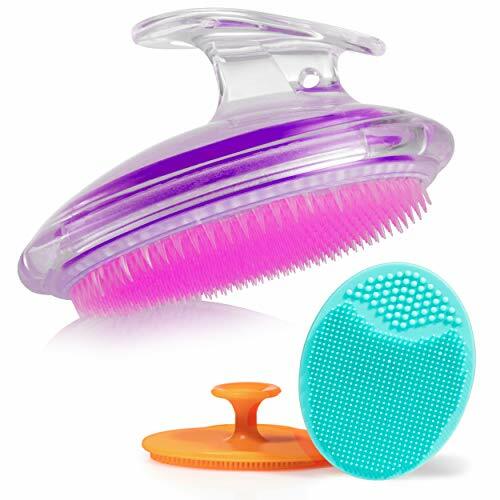 In addition to your soft-bristle body brush, enjoy a pair of silicone face scrubbers! Gently invigorates your face as each pore gets a deep clean! RESULTS YOU LOVE OR A REFUND - Our goal is to give you the confidence to show off silky smooth skin free of any undesirable bumps! So if Dylonic isn\'t everything you dreamed, don\'t worry. Our 100% Money Back Guarantee has you covered. Great to sooth the after shave itch!